Dimensions: 7-3/4 x 7-3/4 in. 36 pages. Black line drawings throughout, includes 2 perforated postcards. Ages 8 and up. Paperback. 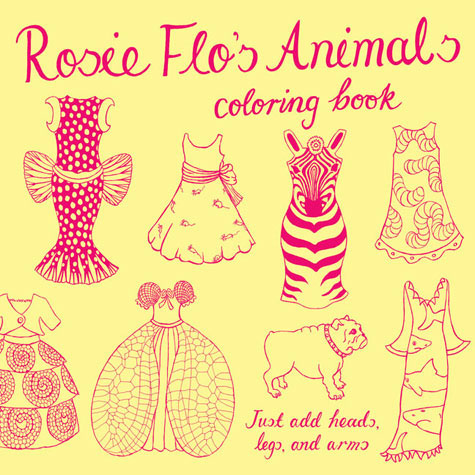 A zebra dress, a peacock skirt, a spiderweb gown, giraffe boots, and many other fantastic creations await you in this animal-themed Rosie Flo coloring book. You add the heads, legs, and arms for each costume, and then color the characters, their animals, and their surroundings any way as you see fit. You decide exactly how these wild fashions will come to life!